When it rains, it pours! This spring, massive rains have consistently fallen on our beautiful state of California, finally ending a years-long drought. Water rationing had been commonplace and finally folks are smiling as vegetation is sprouting aggressively all around. 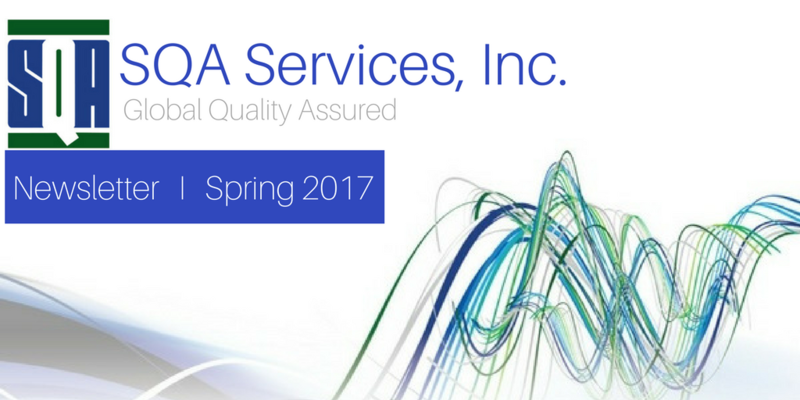 At SQA, we have not been experiencing a drought – business is blossoming for us, too, as we spiked towards our highest March month ever! Our team is keen to dive into all the exciting business opportunities sprouting for us all around the world. Now we simply have to give them plenty of care and attention, and soon harvest the growth and repeat the cycle as best we can over the years to come. In the middle of 2016, a key client I have written about before – Mr. Martin Van Trieste – had some serious advice for me. He suggested we create a roundtable of sorts and invite quality leaders in different industries to visit our Corporate HQ to share ideas and collaborate on their respective challenges. Last month we had our inaugural SQA Quality Exchange, or “QX”, and the results were outstanding. Steve Mendivil from Amgen, Paul Capponi from Campbell’s Soup, Don Zgoda from Proctor and Gamble, and Malcom Early from Microsoft were our guests for the two-day event. 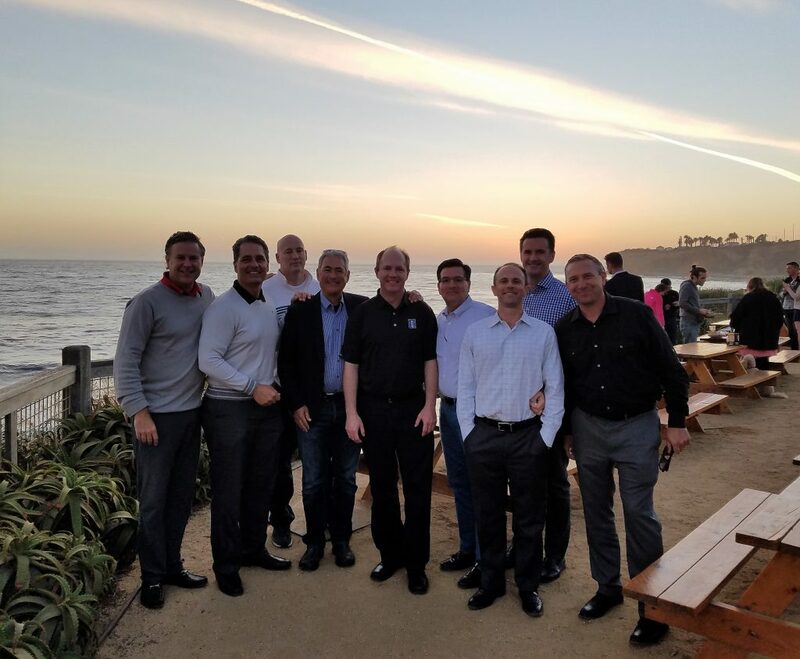 After a local tour at an amazing client facility near TC25, we broke bread and shared best practices with one another. Several key SQA folks joined in the banter between these corporate juggernauts, and everyone learned so much in the process. It was like watching a vintage Borg vs. McEnroe game, with all participants hitting lobs and volleys as we worked hard to keep up with the pace. I must admit that it was a significant moment for me as I watched and listened in the very room where I started the company with my Dad, Jim McKay more than 22 years ago. At the risk of tooting our own horn too loudly, the best part came when the representatives from these incredible companies actually leveraged the SQA panel in the room for our ideas on the best practices we’ve seen over the years to help them as well. They know that we have seen it all – from all around the world – and in the end, they learned a great deal from us as well. A huge feather in our cap! The surveys from the group afterwards gave us high marks, and we’re excited to roll out future QX events shortly. We will send out an annual calendar of QX events soon, and we will be inviting more and more SQA clients/industry speakers to participate. Please reach out if you or your colleagues have an interest in attending! In our last issue over the winter, I was happy to announce our new concept of an annex office called Tech Center 25, which is super close to some of our key clients. We have invested heavily in the proper people and equipment, and the results have been amazing. As a result, we are nearly doubling our square footage in the office, and adding more and more talented people to our ranks. The energy level is palpable, and even though our team members are stressed from all the growth and commensurate challenges, the looks on respective faces say it all… SQA is cranking and people love playing their part in helping our clients make better product at a higher profit. Year-to-date we have trained nearly 30 new Associates on intense courses designed to maximize their efforts in the field, and SQA clients are noticing. SQA clients that are utilizing TC25 are partners that are growing most rapidly within our client ranks because of the amazing efficiencies that result from working closer together in a collaborative environment. TC25 is averaging more than 2,000 inspections per month and supporting an additional 1,500 monthly events involving other quality disciplines. New potential installations are being considered in several other strategic locations, so stay tuned! This is probably the third time I have highlighted this as a challenge, but I can’t overstate the importance of finding the right type of people to join our ranks in order to forge ahead with minimal distractions. Our product is our people, and human beings are tough to gauge at times. We have to try our best to get everyone performing at peak levels, and keep them playing to their strengths, and providing maximum effectiveness for the benefit of clients and SQA co-workers. We are ALWAYS looking for the very best quality assurance personnel, so please feel free to refer any and all amazing candidates to Mr. Tim Lebetsamer at timl@qaservices.com, so we can keep the momentum moving forward! I’m happy to see a powerful trend within our small world of supplier quality – the movement to define and ascertain the level of quality culture most conducive to certain industries. Increasingly, large companies are focusing on the importance of ensuring a cultural alignment within their value chain – a belief in the mission, which we discussed at length in our QX. Work instructions, checklists, and procedures can all be agreed upon in advance, but failure is bound to bear its ugly head if people aren’t singing from the same sheet of music when they communicate, behave, and drive their initiatives. We are slowly embarking now on a huge wave of interest on this subject and are putting together personality trait matrices, motivators, and ‘turn-ons’ and ‘turn offs’ for how our OEM clients view their supply base. We’re also seeing a growing trend of performing internal cultural assessments for our clients themselves. The tough part is looking a client in the face and tactfully expressing that they have to change immensely to gain more buy-in from their team – now that’s a challenge! As always, I love the feedback I receive from folks around the world on these articles. I sincerely hope you enjoy what you read as much as I like putting my thoughts down. I love this company and will stay super passionate in driving us forward. I keep a special file for potential subjects for future issues, so stay tuned! Please feel free to contact me with any and all comments at mmckay@sqaservices.com. Out & About With Team SQA! 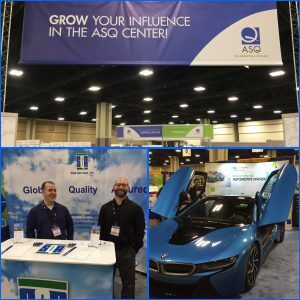 The ASQ World Conference was held the first week of May in Charlotte, NC. Traveling to the conference and working the SQA booth were Tim Lebetsamer and Eric Costanzo. Tim is the SQA Director of Associate Development Management, and Eric is a Project Coordinator for SQA. 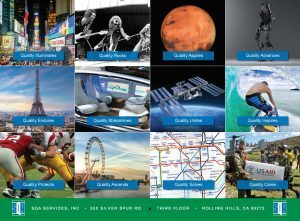 The American Society of Quality, World Conference, allowed for opportunities to attend courses, sit in on sessions, get certified, network with leaders in quality, and learn about the newest products and services in quality from suppliers were all available for one week, in one location. Next year the location will be Seattle, WA. Gerard Pearce, Executive Vice President at SQA will be speaking at the Pharmaceutical Quality Congress in Bethesda, MD on Friday, June 16th. The SQA team will be hosting its 2nd Quality Exchange at the end of June in LA. Please follow us at #SQAQX for more information. Jim Qi has 23 years experiences in quality assurance and regulatory compliance within Medical Device and Pharmaceutical industries. Jim Qi has in-depth understanding and knowledge of ISO 13485/9001, and FDA 21 CFR 820/210/211, and has performed various audits for clients including Merck, Hospira, J&J, BMS, Baxter, DJO, Abbott, Teleflex, and C.R. Bard. His specialties cover FDA inspection readiness prep, FDA warning letter remediation, 510(k) submission, product sterilization, and CE TCF. Jim Qi is an outstanding member of ASQ, Jim Qi has obtained 2009 ASQ Outstanding Membership Award, and is a qualified FDA QSR/ISO 13485/9001 trainer certificate, and a Lean Six Sigma Black Belt. Outside his profession, Jim Qi enjoys reading, writing, travel, swimming, and table tennis. For the longest time, SQA has been on the lookout for a business travel partner that can fulfill our unique travel needs. Over the past few months, a cross-company team collaborated to solicit proposals from agencies, evaluate their offerings and negotiate a competitive agreement that will deliver significant savings while majorly improving the overall SQA traveler experience, from authorization request to expense reimbursement. We are now pleased to announce our recent partnership with Egencia, an Expedia company. Egencia will provide a user-friendly, online self-booking tool and agent-assisted business travel service that will allow online submission of travel requests, automatic purchases upon approval, receipt storage and download, and will also provide multiple other advantages for our travelers. Egencia started with SQA on May 3rd. If you don’t have an Egencia account just yet, please contact Carla Huguet, Travel Manager at chuguet@sqaservices.com . Our team worked tirelessly on a beautiful calendar with 12 fantastic quality themes. Clients and Associates contributed to the messages contained in the calendar, and even though the topic of quality assurance can be perceived as a boring subject, we stand proudly behind how incredibly interesting the products and services that we touch around the world every day can be. Please reach out if you need additional copies and we’ll be happy to send more your way! You can also download the digital version from the resources page on our website.